We are pleased to announce the winner of the Atlantic BIOCON 2018 student poster competition. Congratulations to Farid Sayedin for his poster titled, "An Integrated System for Anaerobic Digestion of Thin Stillage and Microalgae Cultivation for Nutrient Recycling and Bioenergy Production." Farid is a Ph.D candidate at Dalhousie University. Thank you to all the students who participated in our event. 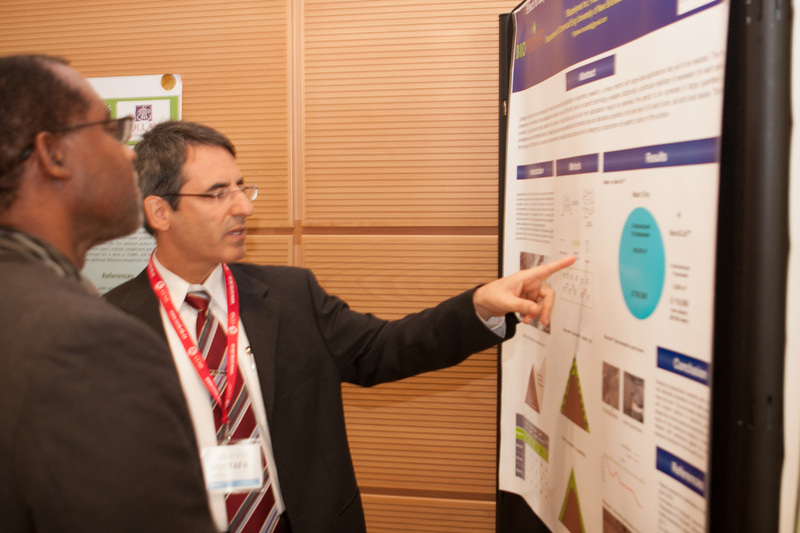 The judging committee agreed that the posters were very high quality this year, signifying the strong R&D capacity in biorefining and bioprocessing that exists in Atlantic Canada. May 22, 2018 (Fredericton, NB) – The Atlantic BIOCON 2018, Canada’s premier conference on biorefining and bioprocessing, will take place May 23rd to 24th in Fredericton, NB. Going into its 7th year, BIOCON 2018 is a dynamic 2-day conference that sparks discussion, spurs innovation and highlights new projects that are transforming our traditional industries and business. Click here to open the official press release file. The bioeconomy is a rapidly growing collision of sectors across the world. Entrepreneurs are creating opportunities to ensure our food security, improve our health and create a cleaner environment. With dozens of private and public research institutions, vast forests, affordable agriculture land, and diversified coastal zones, Atlantic Canada is positioned to be a bioeconomy leader. Hundreds of Atlantic companies are already innovating in this space. With over 20 speakers set to share their knowledge over the two-day agenda the organizers have focused the program around 5 subthemes: Growing the bioeconomy in Atlantic Canada, Company and applied research showcase, The new economy: What’s old is new again, Business opportunities: Back to our roots, and New ways of getting things done. The new economy theme will feature Herb Emery, UNB’s Vaughan Chair in regional Economics and will explore how economies focused on natural resources can evolve thanks to innovation to unlock new economic growth. This subtheme also includes Nauja Bianco, Nordic Council of Ministers, who will share the Nordic countries bioeconomy model and outline how they’ve enabled incredible change for their traditional industries thanks to collaboration. The next two themes, Business Opportunities and the Company and Applied Research Showcase will highlight the broad range of business opportunities already being explored in our backyard. The speakers range from James McDonnell of Moosehead Breweries, who will be sharing how waste streams can be revenue streams, to Jim Cunningham of Cardwell Farms who will demonstrate how Cardwell is using waste streams to feed their compost and soil business. Our final theme will tackle hot topics in Atlantic Canada and will be focused on how innovation in bio goes well beyond the biological sciences and how the bioeconomy complements developments in data analytics, AI, Clean tech and will be the first adopters of Industry 4.0 technologies. “Atlantic BIOCON is the country’s best venue to highlight regional projects, technologies and opportunities as they relate to the transformation of Atlantic Canada’s bio-based resources. We think the best opportunity for growth is to bring our traditional industries into the 21st century, and this conference provides a forum for these discussions,” says Meaghan Seagrave, Executive Director, BioNB. “Springboard Atlantic has been involved with Atlantic BIOCON since its inception. It is a key opportunity for researchers and entrepreneurs to exchange ideas that spark action. We have seen the projects that are developed from this conference transform our natural resources into valuable products that can grow our economy,” says Daryl Genge, President & CEO, Springboard Atlantic. The Atlantic region holds significant research and development capacity in this nascent sector, showcased by a number of academic posters to be featured as part of this year’s Poster Session. Students from the University of Price Edward Island, the University of New Brunswick, Acadia University, and Dalhousie University will compete for poster prizes in the areas of applied science and technology. The organizing committee is proud to be showcasing the scope of technologies and innovative research in the Atlantic region and beyond and looks forward to the collaborative biorefining projects that will emerge from the conference. The CCNB is a modern student focused college with five campuses geographically located across Northern New Brunswick and in Dieppe. The CCNB contributes to the economic development of the communities it serves, with more than 90 programs that meet labour market needs. As an entrepreneurial and innovative College, CCNB adapts to the rapidly changing economy, supports the activities of applied research and encourages innovation. The applied research division, CCNB-INNOV, located in Grand Falls, NB, supports the industry in the fields of environment, agriculture, bioprocesses and beverages. Springboard Atlantic is Atlantic Canada’s commercialization network. We represent the collective academic research and development expertise of 19 universities and colleges across the region. We act as a bridge between academia and industry bringing world class ideas to the marketplace and drawing in industry challenges to be solved. With over 10,000 researchers, 30 industry engagement professionals and over 6000 research deals done in the last 3 years our model stands along in Canada as an example of collaboration. Driving New Brunswick’s Bioeconomy, BioNB connects, supports and advocates for NB’s biosciences sector. 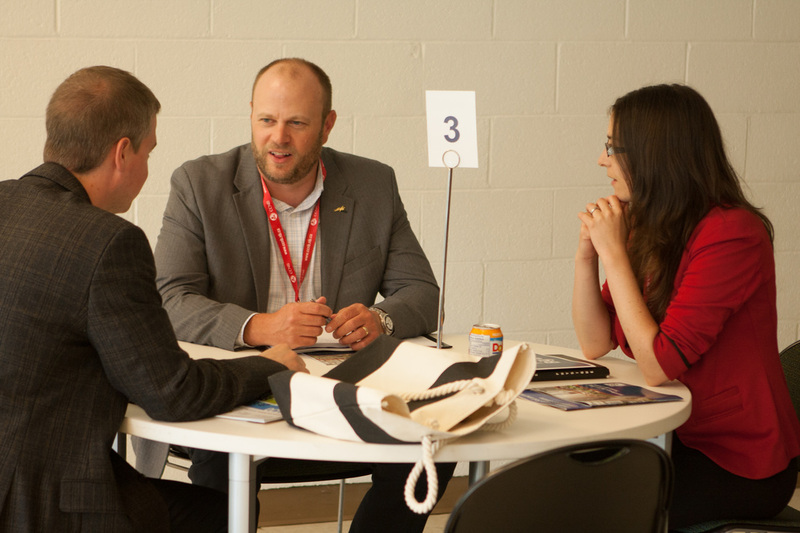 BioNB provides business development, mentoring and coaching support to New Brunswick’s bioscience entrepreneurs and companies. BioNB hosts regular events to foster sector networking and educate companies, decision makers and the public on current issues and emerging trends. In collaboration with a vibrant ecosystem of companies, research institutions and partners, BioNB is dedicated to enabling a thriving bioeconomy in our region. Natural Products Canada (NPC) works with an array of partners to commercialize naturally-derived products and technologies in health and life sciences, natural resources, agriculture and agri-food, and sustainable bioproducts. Buoyed by the growing demand for natural solutions, NPC has over 300 companies in its pipeline. NPC acts as matchmaker and mentor to companies and researchers; serves as technology scout and ecosystem navigator for multinationals and large corporations; and helps investors discover, develop, and de-risk opportunities. NPC was established in 2016 and is funded by a range of public and private investors, including the Government of Canada’s Centre of Excellence in Commercialization and Research (CECR) program, administered by the Networks of Centres of Excellence. On the fence about registering? See who else is attending! Don't forget to schedule one-on-one meetings with the B2B Partnering System. 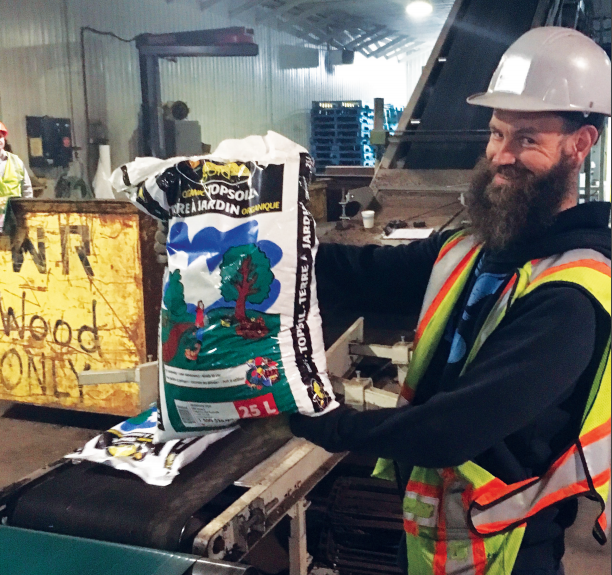 Envirem Organics, one of the stops on the Technology Tours at the Atlantic Biorefinery Conference, are the cover story in the most recent Recycling News Magazine. Read the full story here. creating solid industry relationships and higher value products for a wider range of markets. The company was born out of the construction industry. In 1994, Bob Kiely, the company’s current president and GM, started at Envirem Technologies, Inc., part of a New Brunswick based construction firm involved in contaminated soil remediation. Envirem Technologies then evolved into Envirem Organics in 2010, of which Bob Kiely is founder and owner. Rub elbows with producers, processors, and solution providers who are working to transform natural resources into value added products and business opportunities. Presentations and discussions will focus on emerging technologies and trends that you should take advantage of. Join the full day of technology tours of local industrial facilities doing work in agriculture, biofuels, bioprocessing, and more. Hear presentations about technologies and projects that are turning biomass into businesses and regional growth. Join the movers and shakers in your industry. Register now! 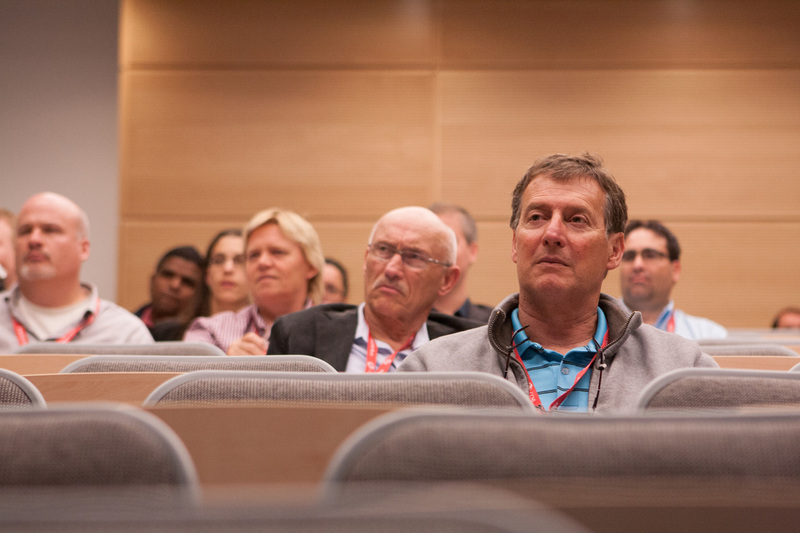 Who Should Attend the Atlantic Biorefinery Conference? 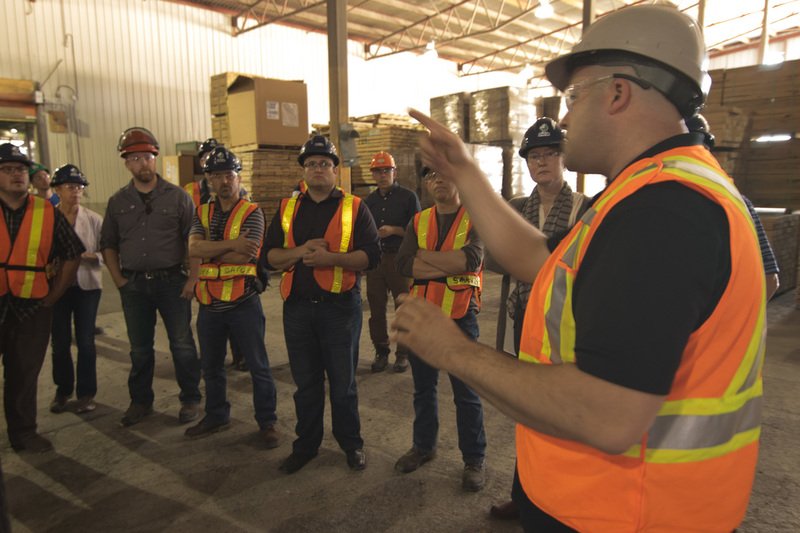 Woodlot owners, farmers, fish processors, and industrial manufacturers can discover the high-value potential of their biomass or waste from presentations and strategic networking. Are you developing a biorefining technology? Shake the hands of experts and influencers who can send you in the right direction for funding, collaborations, market intelligence and more. Researchers with expertise in biorefining and bioprocessing can connect with members of industry to discover new applications, learn about the market, and form partnerships. Technical experts can discover upcoming or ongoing biorefining projects that are a good fit for their expertise. Investors, governments, NGOs, not-for-profits, and other support organisations need to be informed on what is happening in the region’s most promising sector. Natural Products Canada (NPC) is excited to share a great new initiative to enhance investment and interest in Canadian SMEs. Partnering with Nutrition Capital Network, part of the New Hope family of companies, the Investor Meeting will connect high-potential natural product companies with investors from across Canada and around the world. The meeting will take place in the Courtyard Toronto Downtown by Marriott on June 20-21, 2017. The NCN-NPC Investor Meeting is a valuable opportunity for companies to pitch their business to a set of experienced investors, as well as to receive valuable mentoring and advice from industry veterans. The opportunity to present is open to companies in the nutrition and health & wellness industry, including: natural & organic food, dietary supplements, functional foods, nutritional ingredients, natural & organic personal care & household goods, cosmeceuticals, health & wellness consumer products, foodtech, agtech, and other nutrition industry and green product segments. Companies are encouraged to apply via the online application form. Deadline is May 15, 2017. 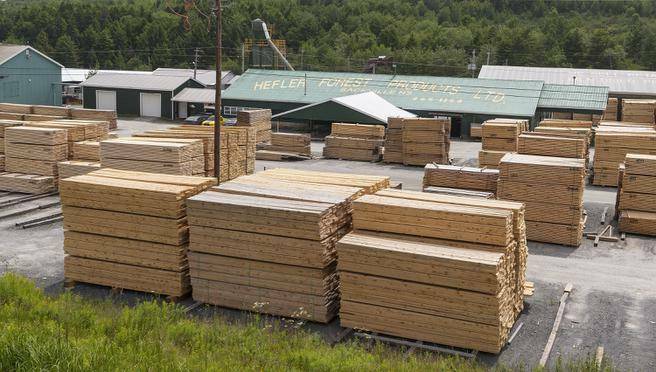 Nova Scotia-based Hefler Forest Products has sold its 3.7-megawatt biomass power plant in Middle Sackville, N.S., the first sale of its kind in Canada. The new owners, Hawthorne Capital and Katalyst Wind, are considering having a third party operate the sawmill on site. Kevin Bromley, a PricewaterhouseCoopers partner, told The Chronicle Herald the sale is the first of its kind in Canada. Helfer Lumber's biomass power plant was a highlight of the Technology Tour for the 2016 Atlantic Biorefinery Conference. Story originially published at thechronicleherald.ca. Nova Scotia could develop a biorefinery that produces a fossil fuel alternative made from renewable sources of fibre. The liquid biofuel could be used to heat houses and power boat engines. Natural Resources Minister Lloyd Hines says it could make the forestry sector more competitive and spark economic growth. The study was done by Nova Scotia's Innovation Hub. It says the fibre could come from byproducts from forestry operations, farm crops, and municipal solid waste sources. The hub is funded by Emera, the Atlantic Canada Opportunities Agency and the province of Nova Scotia. ​The Atlantic Biorefinery Conference is a dynamic 3-day conference that sparks discussion and projects that transform our renewable natural resources into business opportunities. These opportunities are part of a vision for a sustainable future and circular economy where Canada's biomass is used to its full potential. Responsible resource management practices, new innovative technologies, and research and development in our traditional industries are essential elements of this vision. This is the biobased economy. Biorefining is a means to a sustainable future where we transform our natural resources into high value products like energy, medicines, bioplastics, and biofuels. Our natural resources are a valuable asset that should be leveraged sustainably and responsibly, and used in ways that yield the most positive impact for our society. The 2017 Atlantic Biorefinery Conference will showcase the best projects on-the-go from inside and outside the Atlantic Canada region. Delegates can take advantage of a multitiude of networking opportunities and hands-on technology demonstrations and tours.